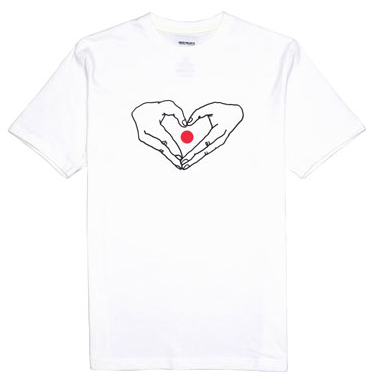 Norse Projects collaborated with various artists (Yukari Hotta, Misaki Kawai and Husk Mit Navn) on a series of 3 shirts aptly entitled, "Love You Japan". All proceeds are being donated to the Red Cross of Japan. Check out the entire collection here. Shirt pictured above is designed by Yukari Hotta. Yukari Hotta is a Japanese industrial designer and illustrator living in Copenhagen. With her main focus on furniture, Yukari creates clever and functional pieces with a crisp aesthetic.